The Ibanez AF100C Artcore Hardshell Guitar Case fits AF guitars and has a custom fitted plywood shell, durable Tolex cover, heavily padded plush lining, and internal accessory pocket. 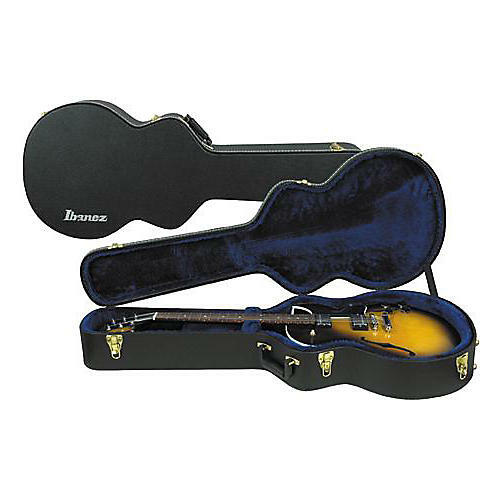 Only Ibanez cases and bags are made to fit the unique shape of Ibanez guitars and basses. The Artcore guitar case has heavy-duty drawbar latches with locking center latch and heavy hinges for total protection. If it doesn't say Ibanez on the case, it isn't an Ibanez.